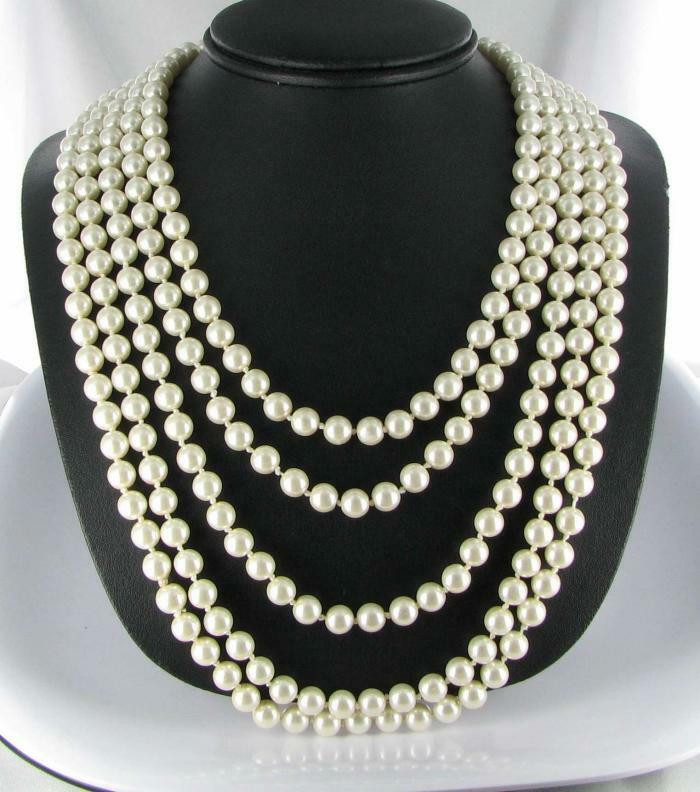 Endless Pearl Necklaces are back in Stock! 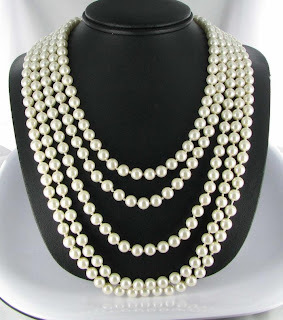 Pearls are one of this years hottest trends in necklaces, thanks partly to the first lady - Michelle Obama's love of them. One of my best selling necklaces is a lovely single strand which is 120 inches long and is made of glass. The pearls have a fabulous luster and can be worn long and loose in a flapper style, knotted, down the back of a strapless dress or wrapped several times the way it is shown here. The necklace is an endless style with no clasp. Imagine the possibilities for wearing it! 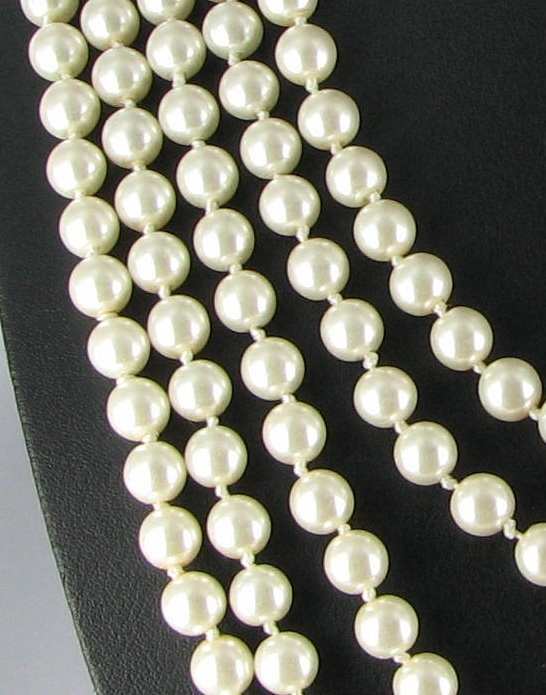 I have the this pearl necklace and many other styles available in white, creamy ivory, or black at my Ruby Plaza Shop - Jewelry Lane, and Carolina Collections at eBay. 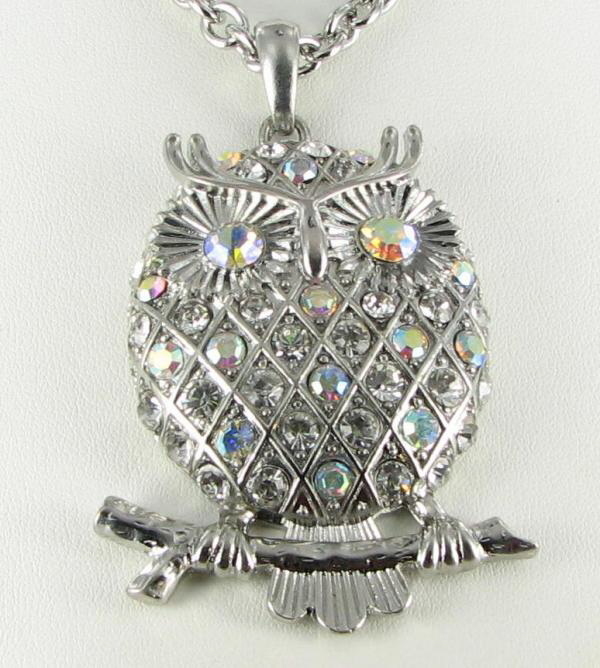 This necklace is priced at only $19.99 and you can even make me a close offer for consideration. Here are some photos of the pretty design. 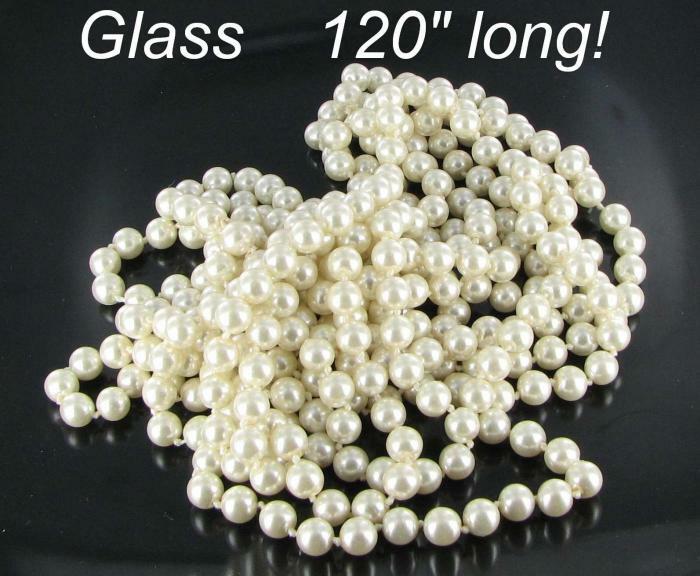 I also have several other styles and colors of glass pearls available at Vintage Jewelry Lane. I've been having a look at the latest trends from the runways and from wholesale jewelry offerings for the last few weeks, and it appears that bigger is better for fall 2010 when it comes to jewelry trends. For the next few blog postings, I'll feature some of the up and coming trends. Today peek ahead is for the birds! The biggest news is feathers. While animal prints like leopards were all the rage last year, this year the birds take center stage. Whether it is just a simple set of ostrich feather earrings, an ornate brooch with feather fringes, an elaborate fur bracelet design, or a huge statement necklace with fringes of feathers, the effect will be the same - in style! What do you think of the look? Yay or nay? Stay tuned for more trends in later blog postings. There are so many materials out there in the retail world which are labeled ivory. Some just refer to the color and some refer, either truthfully or not, to the material. 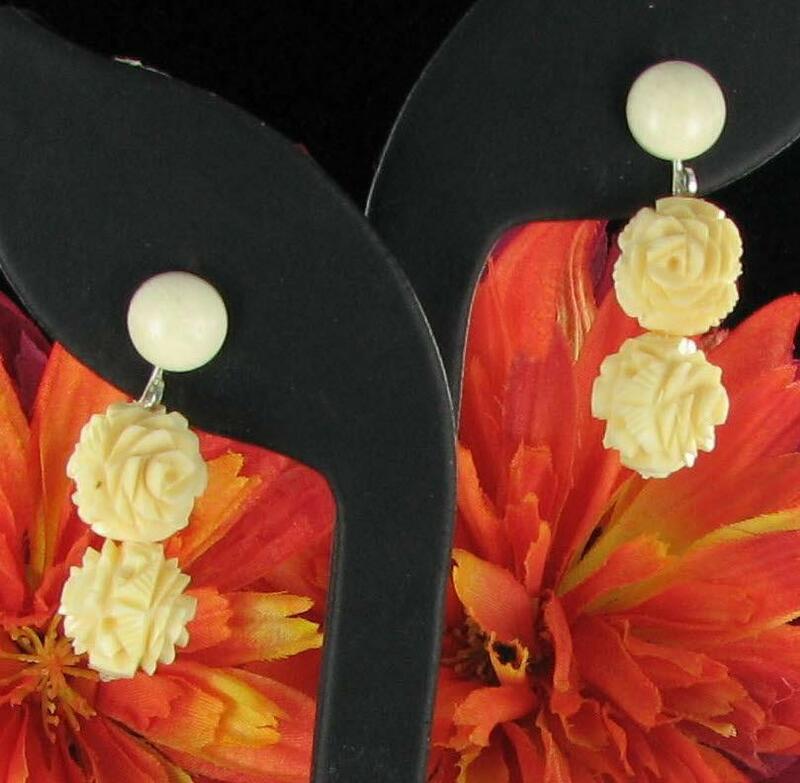 Ivory a smooth grained material which is made from the tusks of elephants, walruses and other animals with tusks. 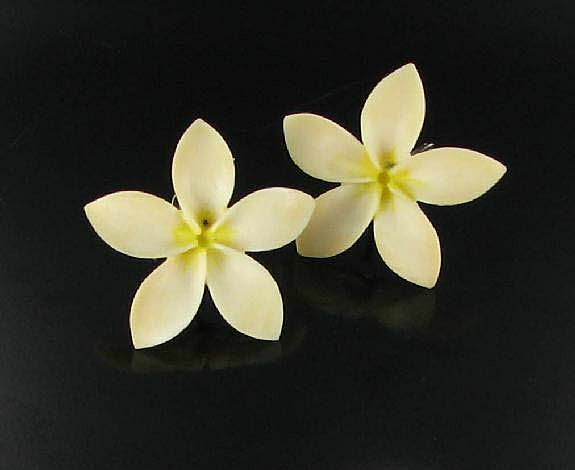 It is creamy white in color, usually with a cross hatching type of grain. It is a natural material. Not ivory will show this cross hatch grain, depending on the way that it has been cut, but it will always have a prominent grain mark of some sort. Beware though, the product may be called ivory, when it is, in fact, bone - another natural material with a similar look. Although bone has a similar look, it does not have the telltale ivory cross hatch grain. The photo shown here is an example of the ivory grain which has been magnified. The grain line in bone is more often a series of parallel lines. Bone also often has pits and other imperfections which are not usually apparent in ivory pieces. The following photo is a good example which shows the grain of bone as well as the pits and imperfections often found in it. Ivory is highly collectible and the import of it into the USA has been banned since mid June 1989. Items labeled pre-ban ivory are those which were made and imported into the USA earlier than this period. One way to determine if the item is real ivory is the hot pin test. BEWARE: if your item is not ivory, you will damage it. True ivory is virtually impenetrable with heat. Take a large pin or needed and heat the pin until it is red hot. Poke your item somewhere that will not show. If it is real ivory it will not penetrate, but will only leave a tiny mark. Bone is also resistant to heat but not as much as ivory, so if your mark is much larger it is more likely bone. (also ivory smells like burning teeth and bone has much less of a smell. 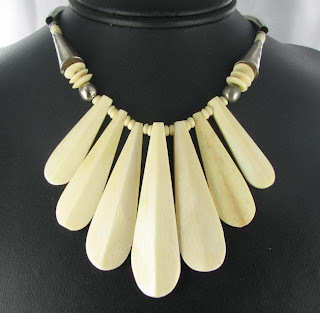 Here are a few examples of some pre-ban ivory jewelry items. 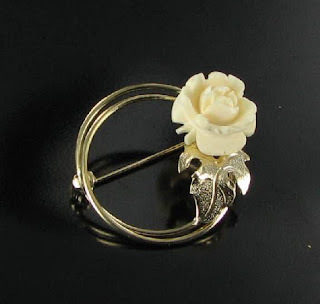 Visit Vintage Jewelry Lane for more details and prices on ivory jewelry. Weiss jewelry is known for their well made designs with great attention to detail and use of lovely stones. They are at the top of the list of vintage jewelry designers for those who collection high end rhinestone costume jewelry. Today's vintage bling is a lovely Weiss brooch which is subtle in design and which would be perfect for many fashion color choices. 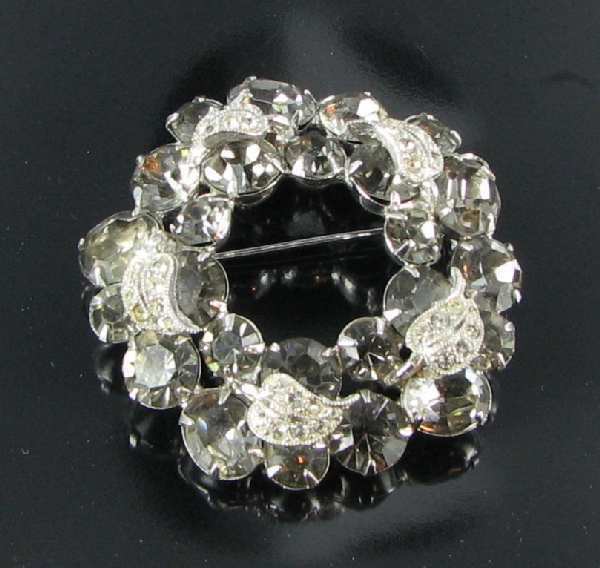 The brooch is set in silver tone metal and features a stunning layered design with prong set smoke gray rhinestones in a rising circle setting. The top layer of stones also features small silver tone leaves which are covered with clear pave rhinestones for a special and very glittering effect. 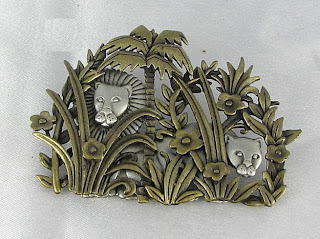 The brooch has a built in pin back and cartouche with the word Weiss. 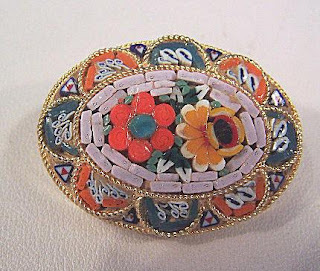 It is in excellent condition and is available from my Ruby Lane store - The Finishing Touch Vintage Jewelry. Priced at $75, it won't last long. You can even make me a reasonable offer. I get emails from viewers on my main website, Vintage Jewelry Lane, almost every week asking me how to repair rhinestone vintage jewelry. The questions range from which type of glue to use, where to find vintage rhinestones, and how to actually go about the process. So, I was interested to read one of the recent interviews done by my friends at Collector's weekly. 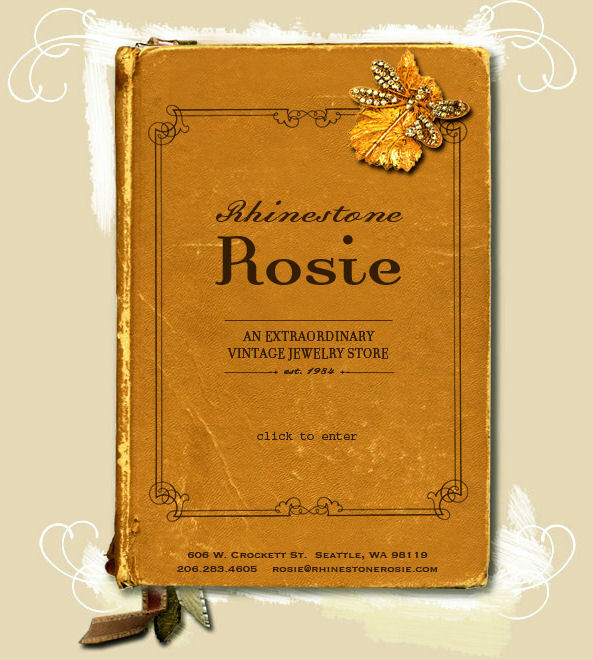 The interview is with Rosalie Sayyah, an appraiser on the famous PBS show, Antiques Roadshow and the owner of an interesting store in Seattle, Washington called Rhinestone Rosie. Photo Courtesy Rhinestone Rosie Website. 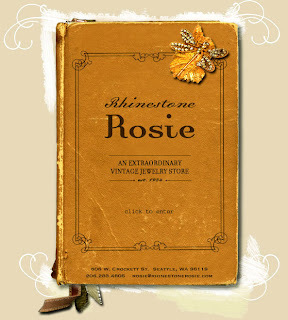 In the interview, Rosalie talks about the most common types of costume jewelry repairs, her job as an appraiser on Antiques Roadshow, and the history of the use of rhinestones in vintage jewelry. She also discusses the use of Swarovski rhinestones, and some of the most famous designers who used rhinestones in their vintage jewelry designs. One thing that Rosalie mentions, which I have also found, is that there is a real lack across the United States of people who actually do the type of repairs about which my customers are constantly inquiring. Her store actually specializes in this type of restoration. If you live in Seattle or any other place in the US, she would be willing to have a look at your piece. This wouldn't be feasible if your piece is a low end costume jewelry piece, but if you have a Haskell, Eisenberg or other famous designer piece which needs repair, you might consider giving her an email. You can view her whole interview on this page of the Collector's Weekly website. 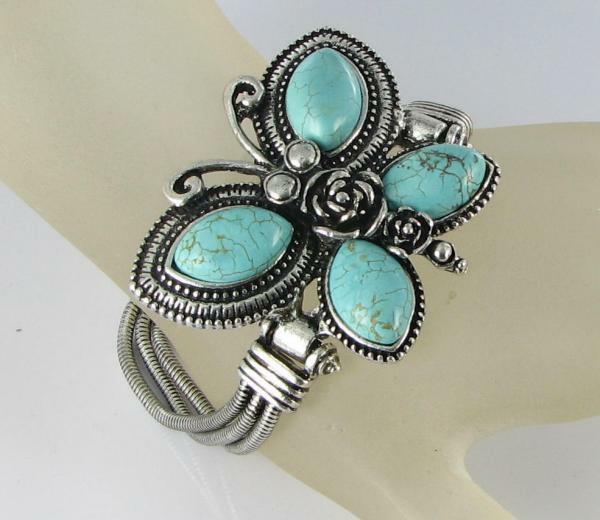 Turquoise is this season's hottest gemstone. 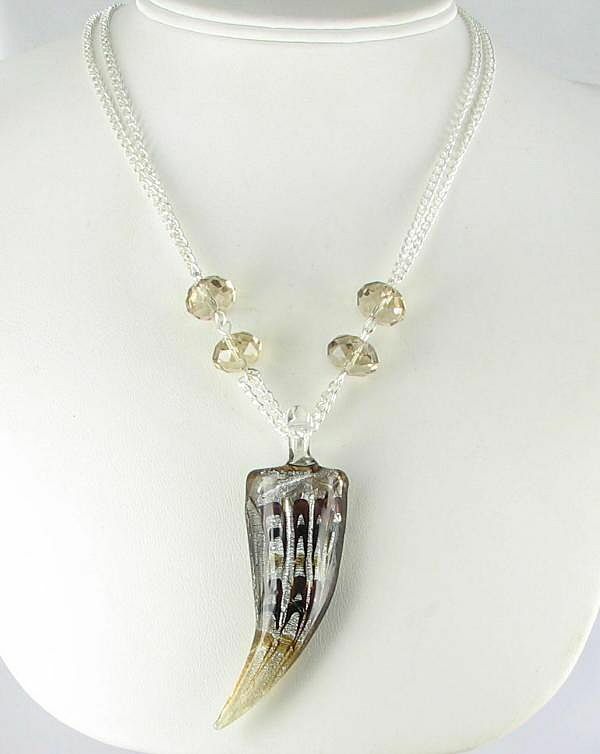 It is earthy and has long been a favorite of those who collect Native American jewelry. But right now, turquoise is seen in all the trendy boutiques too. 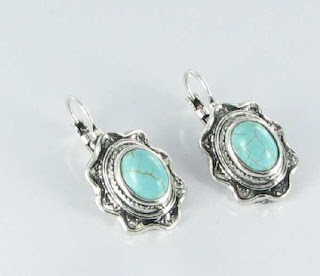 What do you wear with turquoise jewelry? It is such a dramatic color that it might seem to overpower other colors. But the richness of it fits right in with so many earthy shades. 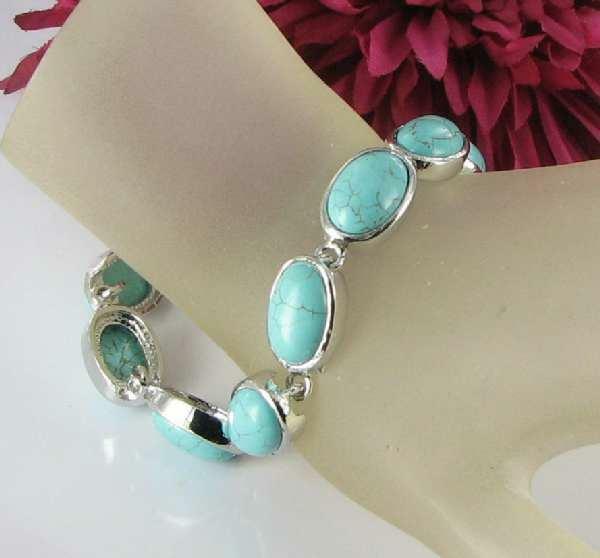 This means that it will translate well with fall colors too, so your purchase of turquoise jewelry today should keep you in style for several seasons. I've been playing around on Polyvore again. It is such a fun site to get an idea of how to use jewelry (and clothing styles) to their best advantage. The set that I've put together here shows how well turquoise earrings and a single strand of turquoise beads look with tans and browns. It's a real winner. Do you love turquoise jewelry too? Grab one today! 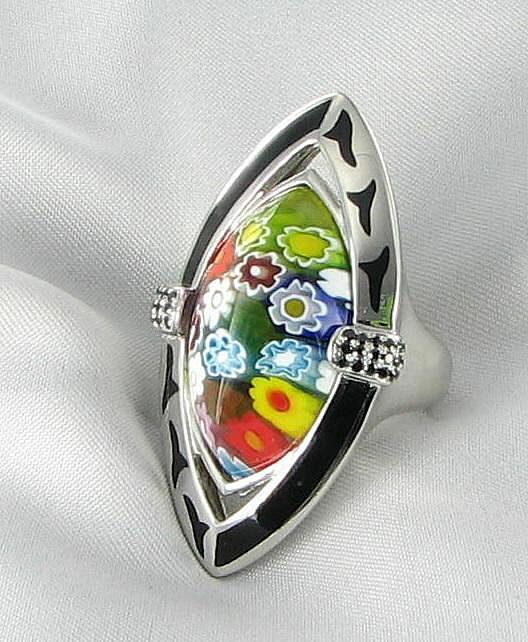 Mosaic jewelry is one of my favorite forms of Italian jewelry (along with cameos of course.) The workmanship and attention to detail is just stunning, and the designs appeal to the romantic in me. The Chicago Mosaic School is the only non-profit fine art school in the world dedicated to preserving and promoting the mosaic art form through education and community partnerships. The school was formed in early early 2005, and has been committed to providing an inspirational and creative environment that fosters an appreciation and awareness of both classical and contemporary mosaics. 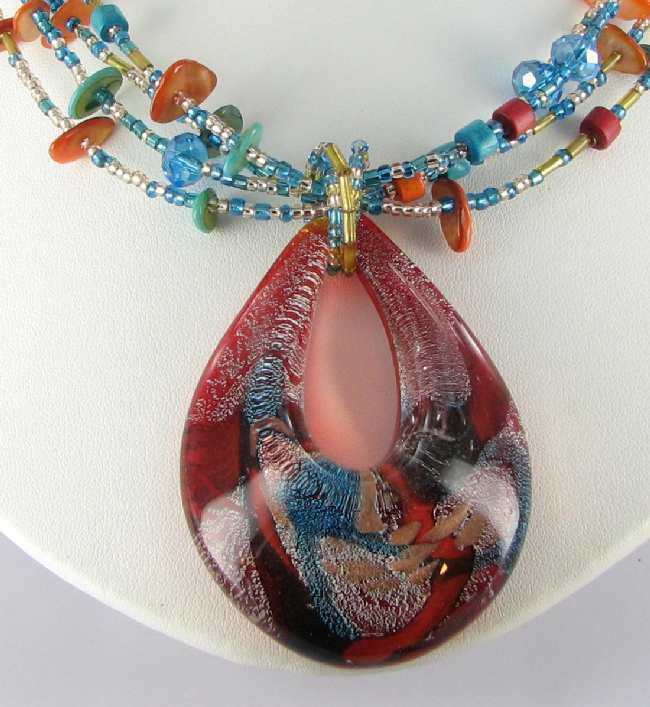 On August 18.2010, the school will hold a hands on seminar where the participants will make two mosaic jewelry projects showcasing the designer's personal, one-of-a-kind sense of fashion. 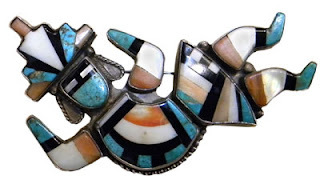 Earrings, pendants, rings, and belt buckles are all styles that one can construct.Rudimentary mosaic techniques, methods, and application will be covered in the seminar. No prior mosaic experience is necessary! All materials and use of tools provided by the school. For more information on the seminar, you can contact the organizer at info@chicagomosaicschool.com Their website is very information and has some lovely gallery pictures. It's almost like a virtual museum of mosaics of all types. Vintage Jewelry lane has mosaic jewelry as one of its specialties. We offer many lovely micro mosaic and pietra dura styles at affordable prices. J.J. is the registered trademark of the Jonette Jewelry Company. 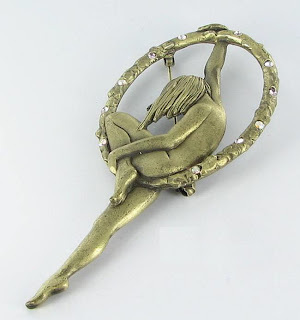 It is famous for its quaint figural pins. 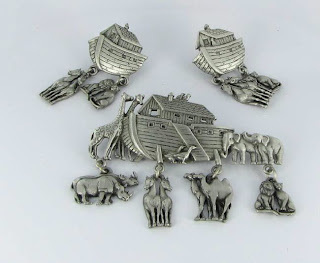 The designs are very well made - often in pewter or brass, and well above average in quality and detail. Plus they and so whimsical and fun! 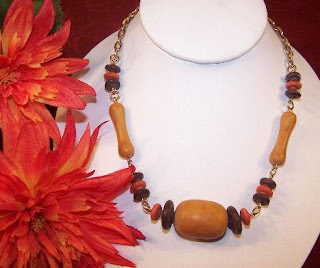 Here are a few recent additions to my Ruby Plaza shop - Jewelry Lane. Prices are very reasonable - from $12 to $34. Grab one today! Murano art glass is made by using a lampworking technique. The glass itself is made from silica, which is heated to very high temperatures and then becomes liquid. As the glass changes from this liquid state to solid, there is a time when it is soft and pliable. The glass maker than then shape the silica material into interesting shapes. Sometimes the glass has layers of contrasting colors, which are formed by dipping the object into the molten glass and the outer most layer, called the casing, is clear. This type of glass will often be seen with swirls of gold through it called adventurine. 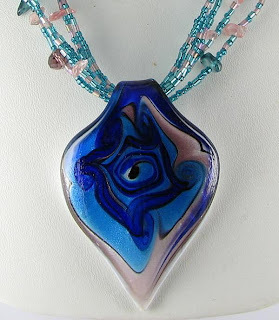 Other times the jewelry is made from Murano glass by making glass canes or rods with multi colored patterns which are visible when the ends of the canes are cut and inserted into a jewelry setting. 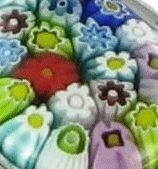 This process is called "millefiori" which means a thousand flowers in Italian, since the finished process does indeed look like tiny flowers. I have a nice range of both types of Murano glass in my Ruby Plaza shop - Jewelry Lane, and also at my main webs store - Vintage Jewelry Lane. The jewelry is all new and comes in many colors and styles at very affordable prices. 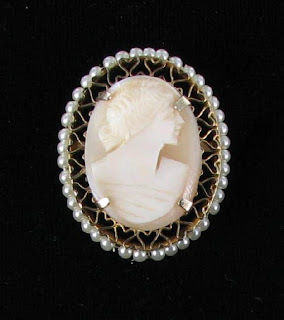 Women have worn carved shell cameo jewelry as a means of adorning their bodies for many thousands of years. These lovely carved mementos with a feminine flair have cast a spell over the wearers for centuries and continue to be popular today. 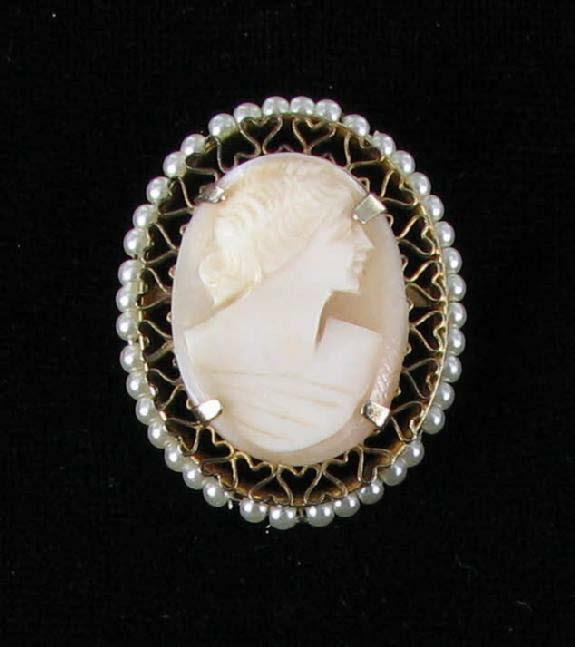 There are many forms of cameos, but shell cameos, in particular, are very collectible and often a good investment. But how does one care for these lovely shell beauties, so that they continue to remain in wonderful condition? 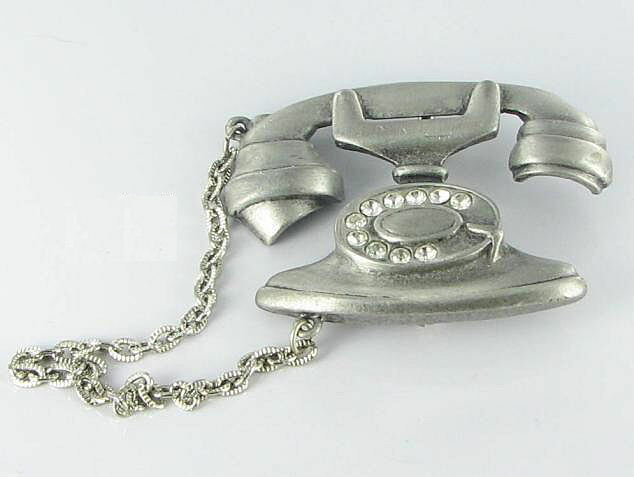 All vintage jewelry needs regular cleaning and good storage, and cameos are no exception. For the general cleaning purpose, I use Sunshine polishing cloths, which have a special cleaning agent impregnated in them. These specially treated cloths are especially good for cameos set into sterling silver or genuine gold settings. The cloth will polish the metal, and make it bright and shiny. The shell cameo itself needs a bit of extra attention to keep it looking in great shape. Since the surface of the cameo is carved and usually raised, it is a real attractor of dirt. To clean the surface of the design, a Q tip or baby toothbrush dipped into a mild detergent and rubbed over it will remove traces of grime. Be sure to use plain water on the Q tip to rinse off after cleaning. Never soak a shell cameo for longer than a few seconds if you decide to dip into a cleaning solution. I don't recommend commercial cleaners - they are much too harsh for a delicate shell cameo. 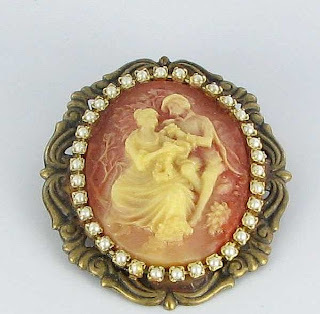 Cameos have special needs that other styles of vintage jewelry don't have, as well because of the shell material itself. Extreme dryness, general aging and the elements of nature can all discolor or crack a shell cameo. Cameo jewelry should be stored in a clean, dry (but not too dry) place. This will prevent damage and corrosion to the frame. Even gold frames can become tarnished because of the oxidation of the alloys in the metal. Careful storage also helps to prevent the shells from becoming chipped. 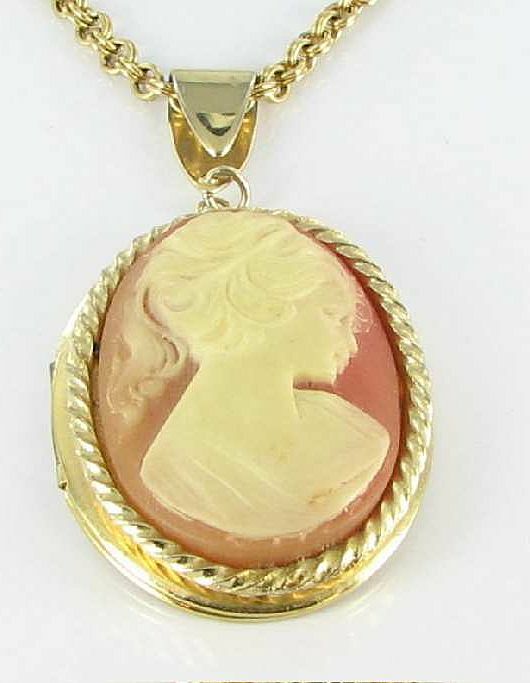 Be sure to keep the cameo away from other pieces of jewelry which might have sharp edges which could harm the finish of the cameo itself. Cameos are particularly prone to damage from heat. So, an additional step is needed for keeping your cameos in good condition. Once the cleaning is done, you should use a fine oil, such as a mineral oil or baby oil applied sparingly with a Q tip. Leave this solution on the cameo overnight and then wipe off any excess oil that remains the next day. This process should be performed once or twice a year for best results. Cameos also love to "breathe." Try not to store them in plastic bags or closed containers. Just sitting normally in a jewelry box is the best place for them, as long as the other jewelry pieces nearby are not sharp. Finally, be very careful of dropping them, since they are delicate and might chip or break. As with all other forms of jewelry, be sure to put make up and perfume on before you add the jewelry, since these products are harmful to all types of jewelry. 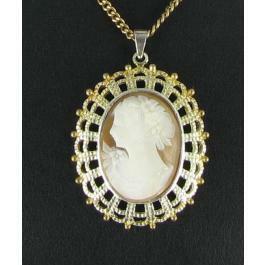 Cameo jewelry items are very desirable heirlooms, and are often considered an investment. With a bit of care, you can insure that your cherished piece will be enjoyed for many generations to come. One of the specialties of my main website, Vintage Jewelry Lane, is cameo jewelry. I offer a wide range of cameos of all styles and materials at very affordable prices. Please drop by to have a look soon! Do you have a jewelry collection that you would like to show off? I received an email from my friends at Collector's Weekly yesterday. They are particularly looking for interesting vintage jewelry items of good quality for their fine jewelry pages. Show and Tell works this way: You can upload up to four high-resolution photos, and write as much as you want about the history or stories behind each item. You can also track favorites, and post comments and questions. You can find more details here about uploading photos here. This part of the site is not for those trying to sell jewelry. It's meant to be display only. Think of it as a shared virtual museum. Show and Tell is free and they make it very easy for you to sign up and upload your photos. If you do upload your collection, please let me know here in the comments and I'll link to your photos in an upcoming post on my blog. 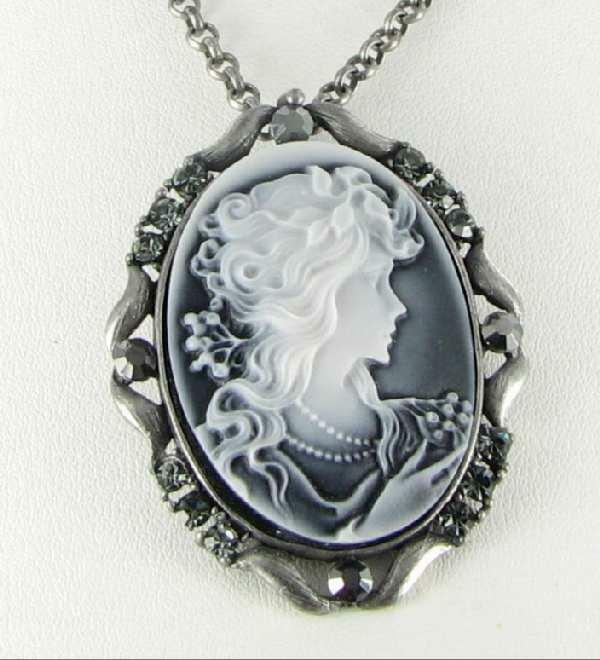 Do you love cameo jewelry as much as I do? Then you are in luck. I've just purchased a very large estate collection of only cameo jewelry item. The collection is huge and covers all types of cameos - from hand carved shell, through to resin, glass, and several signed pieces. For those of you who just love cameos in general, but not necessarily vintage, I even have some brand new pieces of cameo costume jewelry. 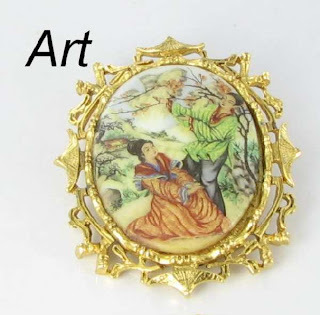 My Ruby Lane and Ruby Plaza shops have some lovely Art, Florenza, Limoge and West German Pieces just added. 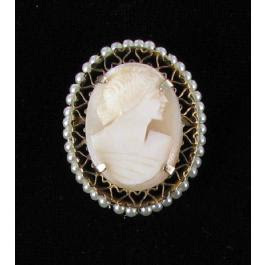 Vintage Jewelry Lane has many of the hand carved shell cameo designs, and Vintage Jewelry Mall has most of the new costume jewelry cameos. Here are some examples of the newest additions. Collector's Weekly has a wonderful series of interviews which they conduct every few weeks with various people in the vintage collecting field. Many of these are jewelry related. 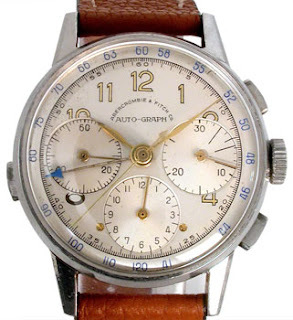 The latest interview is with Jeff Stein, a collector of various watches, particularly chronographs. Jeff is the operator of a leading online guide to Heuer chronographs and timepieces. Jeff originally started collecting watches because of his interest in racing and vintage rally cars. At an early 1960s rally, he discovered another visitor with a display of Heuer timepieces, and he was hooked. In the interview, Jeff discusses all types of chronographs and Heuer in particular. You can read the full interview on this page of the collector's weekly website. 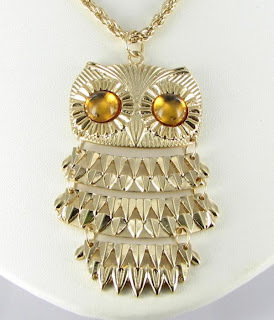 Hoot Hoot - New Line of Owl Jewelry Just in! 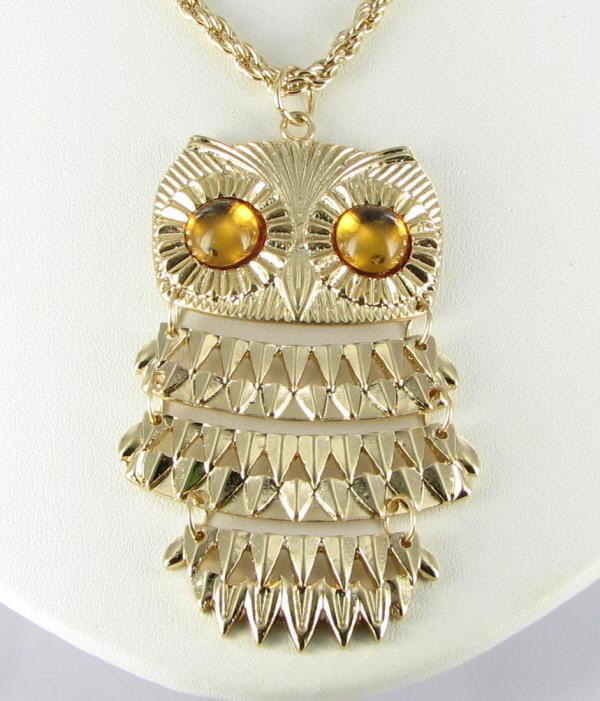 Owl jewelry is one of the most popular forms of figural jewelry on the market today. 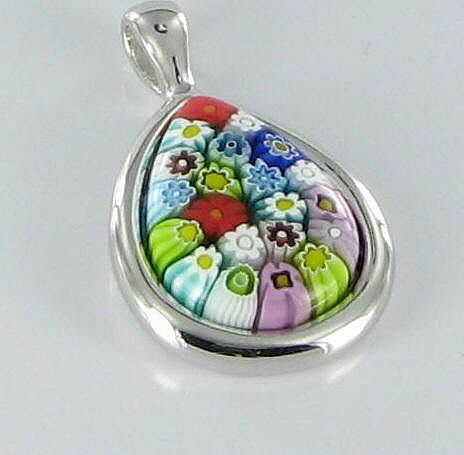 It's colorful, cute and highly collectible. 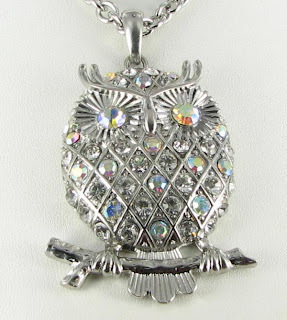 I've just gotten in a new line of owl themed pendants at my Vintage Jewelry Mall website and my Jewelry Lane store at Ruby Plaza. Here are a few designs. You can see more at the links above. 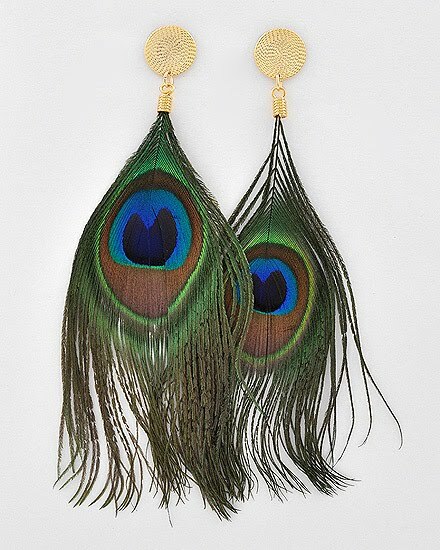 The Metropolital Museum of Art in New York is currently running an exhibit of woman's fashion and vintage jewelry. The exhibit will run through August 15, 2010. Fashion and jewelry from the time period 1890 to 1940 will be featured and the exhibition reveals how the American woman initiated style revolutions that mirrored her social, political, and sexual emancipation. "Gibson Girls," "Bohemians," and "Screen Sirens," among others, helped lay the foundation for today's American woman. Of particular interest to me is the fabulous vintage jewelry that is exhibited as adornment for the fashions that the exhibit is featuring. For those of you who cannot attend, here is a YouTube video with highlights of the exhibit. Warning: The video contains sound. Spring is definitely here, so my find of the day is this pretty nature inspired vintage brooch made of pearls and green glass rhinestones in the shape of a bunch of grapes. 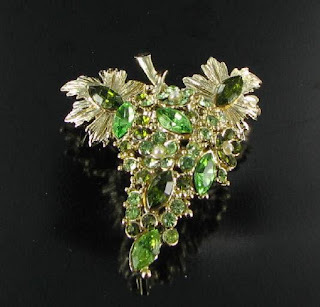 The brooch is set in textured goldtone metal and has a very pretty combination of tiny white imitation pearls, small green chatons and larger marquis green rhinestones. Pretty variety of green colors compliment the shiny goldtone finish well. The size is 2 1/2 x 2 7/8". it has a built in clasp common on better made jewelry of this period. It's available from my Vintage Jewelry Lane shop for only $21.99. 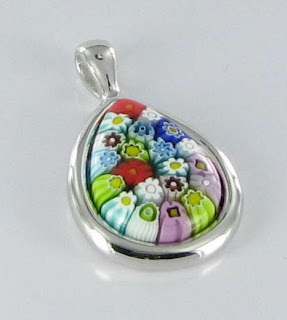 I am delighted to announce that I have added a new like of genuine Murano Millefiori glass and sterling silver to my Jewelry Lane store at Ruby Plaza and my Vintage Jewelry Lane website store. The cabochons in the new line of jewelry are made from genuine Murano millefiori glass made in the island of Murano. The designer is Alan K and the designs are all hand made. 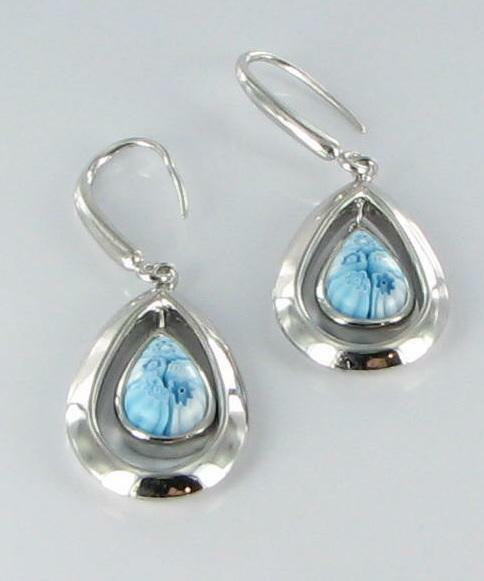 Many of the finishes on the jewelry are also rhodium plated which gives the pieces a lustrous appearance. Millefiori is a type of Murano glass that has been incorporated with various layers of colors to create beautiful flower-like patterns. The word literally means "a thousand flowers." 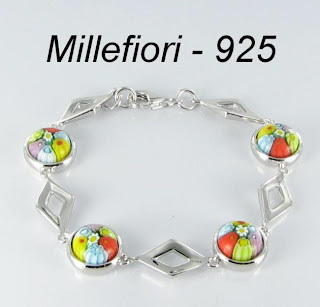 Millefiori is the name of the cylindrical, long glass rods which contain a specific pattern along its entire length, so that when cut into slices from one end, the particular pattern will be revealed. This style of glass has been around since the Middle Ages and more recently, have been produced for fine jewelry items. Prices range from $27 to $165. Here are some examples of the pieces. Hematite Jewelry - Is It Magnetic or Not? The gemstones hematite and lodestone are both stated as being magnetic, but is this really the case? Hematite is a black silvery stone which is quite heavy. It has been with royals since the Egyptian and Greek days. It is named after the Green word haima, which means blood. It will streak red when rubbed against a harder substance, thus the name. Hematite is also known as a black diamond when it is faceted. Contrary to popular belief, hematite is not magnetic. (lodestone, another black stone has this quality.) Hematite jewelry is thought to have mystical qualities, however. It is often said that wearing hematite jewelry will bring good luck in legal matters, so it is popular with some new age lawyers. Natural healers use hematite to improve memory, re-focus the intellect and to remove negative thoughts. It is often thought to balance the first chakra, the root, in yoga. For a more detailed information article on the qualities of both hematite and lodestone, please visit our resource library at Vintage Jewelry Lane. I find that I am spending more and more of my time writing about my love of all things jewelry. I have blogs on my two main websites as well as this blog, but have also added a couple more to my list to make the organization of them a bit easier for me (and you!) to keep track of. 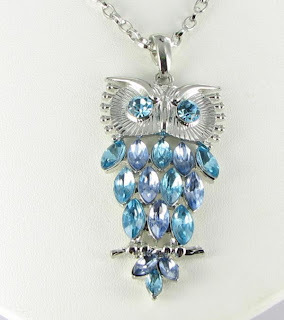 The two new blogs will each have a main theme related to particular aspects of the jewelry industry. Jewelry Designers, Contest and Awards will discuss these topics with an emphasis on mainly contemporary designers and currently running contests. 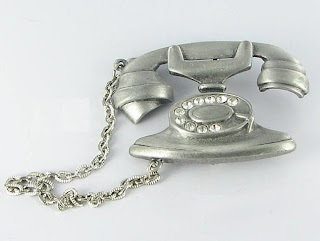 I'll also discuss the various vintage jewelry designers from time to time on this blog. The other blog, called Jewelry Exhibits and Shows, will discuss various vintage and contemporary jewelry exhibits, auctions, trade shows, reference books, and updates about museum demonstrations. This will still be my main blog, and I'll touch on all of these aspects from time to time here, but if you are interested in these specific areas of jewelry, then my new blogs are worth a look. As always, your comments and suggestions are welcome! Readers of my blog know that I often write about the interviews that are done by our friends at Collector's weekly. They are informative and full of information. 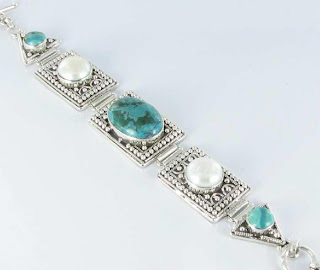 The ones that particularly interest me are those done with individuals somehow connected to the vintage jewelry field. However, their interviews talk with people in all sorts of industries, so there is something of interest for any reader. Do you have a collection of some sort that you would like to share? Now is the time to do it. Collector's weekly currently has an event called Show Us Your Stuff. From now until the end of May, 2010. They will take a look at all of the submissions received, pick their favorites and then publish the top 10 Collections throughout the summer on their website. For more details on how to submit your collection, please visit this page of the collector's weekly website. And if your collection features jewelry in any type and is chosen as one of the top 10 Collections, email me and I'll also feature you on my blog during the summer. Good luck to all collectors! From time to time, sellers of vintage jewelry will use the word Bohemian to describe a piece of jewelry, but what does this word actually mean in the jewelry world? Bohemian- "Boho" for short refers to an ethnic look that combines clothing and accessories similar to those worn by native people from around the world. To me, it indicates more of an attitude than a definite style, since Bohemian can be used to describe many different looks. Think back to the late 1960's to early 1970's era of flower children and hippies. Boho jewelry was worn a lot during this time period - with layered clothing and accessories made from natural materials and big, bold chunky styles. Throughout history, bohemian style jewelry has always been admired for its statement, weight of the pieces and the colors used. 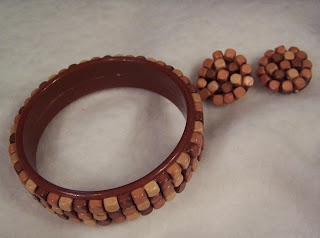 The jewelry is very organic; it uses a lot of wood and genuine stones as some of the prominent materials. 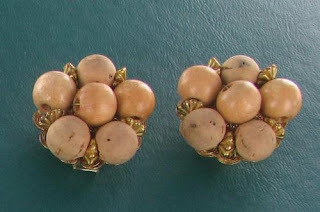 Ivory and bone was also a material often used. Many of the styles can be considered "plus sized" - not because they are to be worn by larger women, but because the jewelry itself becomes the fashion statement because of the size. Eastern Europe is credited with being the origination of Bohemian jewelry, since it these countries are normally associated with gypsies and others in nomadic populations. It is associated with free thinking, organic, individuals. This is the same reason we tend to think of Bohemian jewelry and hippies. The two went hand in hand during the 1970s. Self expression is the key to the mood and trend in Bohemian jewelry. 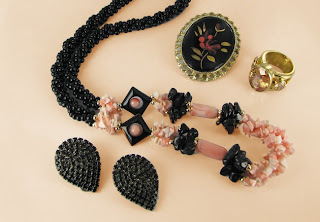 All pieces are available from my Vintage Jewelry Lane Shop at affordable prices. Click the pictures for more details and photos. 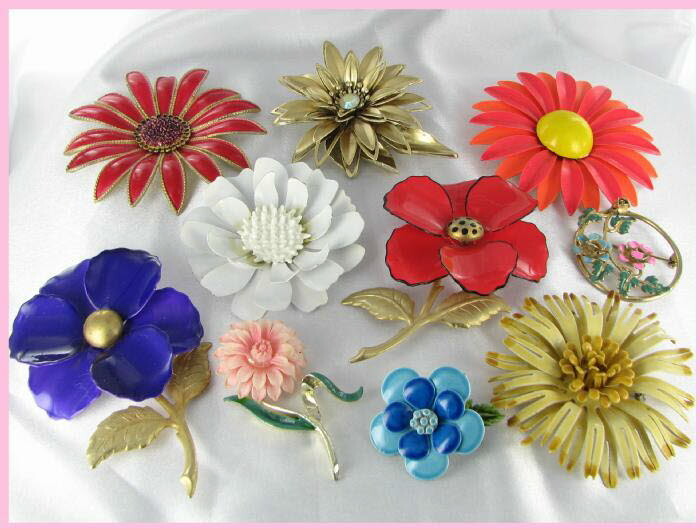 Collectors of vintage jewelry are most likely familiar with the term bakelite jewelry. This phenol thermoplastic is one of the most collectible of the vintage plastic family. I have written articles on how to identify bakelite and also the fake plastic which often tries to fool people, fakelite. Just today I found an interesting You Tube Video on the history of bakelite that you may be interested in viewing. It was made in Amsterdam and is called "Transatlantic Chemistry: Baekland the Inventor of Bakelite." The video explores the fascinating life story of the Belgian American inventor Leo Henricus Arthur Baekland, his experiments and adventures at the turn of the 20th century, and especially his discovery of Bekelite, the material that conquered the world, and led to a collecting frenzy in the vintage jewelry world. My daughter is at college and I miss having her home all the time. When I get particularly lonely for her, I also get very nostalgic. When she was a little girl she loved unicorns and mystical horses, like the My Little Ponies" series. 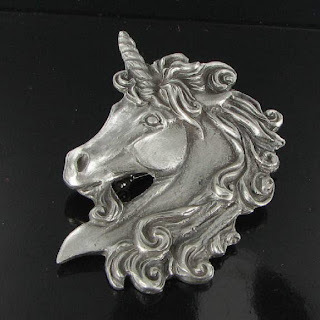 So, when I was trying to find the piece of the week for this week, this lovely unicorn brooch by Spoontiques really fit the bill. The brooch is set in pewter and has the most fabulous detail., particularly in the area of the mane. The pin is 1 3/4 x 2 1/2" in sized and is signed and dated © Spoontiques Pewter USA 4125. This lovely Spoontiques unicorn brooch is available from my Ruby Lane Shop - The Finishing Touch Vintage Jewelry for only $21. Copper jewelry from all designers is very collectible, but the real master is Francisco Rebajes. 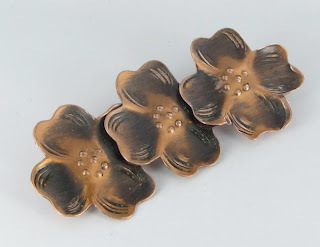 This well known designer created copper jewelry from the early 1930s to the late 1960s. Rebajes was born in Spain, but his parents immigrated to the USA. He created modernistic copper and sterling silver jewelry in his New York studio, in Greenwich, before returning to Spain in 1967. The shop sold jewelry and objets d'art. His designs were unusual and dramatic. All pieces were handcrafted, and unique. 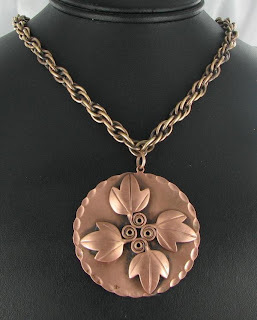 They remain some of the most collectible of copper jewelry pieces today. 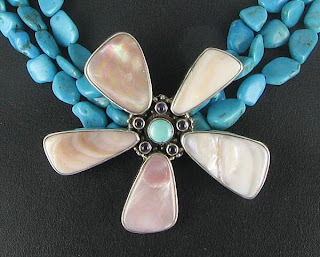 Rebajes' jewelry clearly reflects artistic and cultural influences. Many of the designs show his fondness of Pablo Picasso. His masks series are perhaps the most well known of his pieces. The design mark is the word Rebajes with a stylized sideways number 8. It is engraved into the pieces on the back of the designs. Here are a few recent Rebajes arrivals at Vintage Jewelry Lane. You can click the pictures for more details and additional photos.